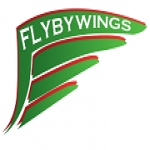 Flybywings Taxi offers friendly, professional, and affordable local taxi services throughout the city of Oxford. We're a new company, and we're on the up; we're full of enthusiasm and ready to deliver great service in Oxford. We have special prices to and from Luton, Heathrow, Gatwick, Stansted, London City, Southampton, Birmingham, Bristol, and East Midlands.